During the Second World War Kingston upon Hull spent more than 1,000 hours under air-raid alerts and was the target of the first daylight raid of the war and the last piloted air raid on Britain. The city was vulnerable because it was a port and industrial centre close to mainland Europe and situated on an estuary, which made it easy to find. The result of this was that Hull was the most severely damaged town or city in the country during the war, 95 per cent of its houses being damaged or destroyed. 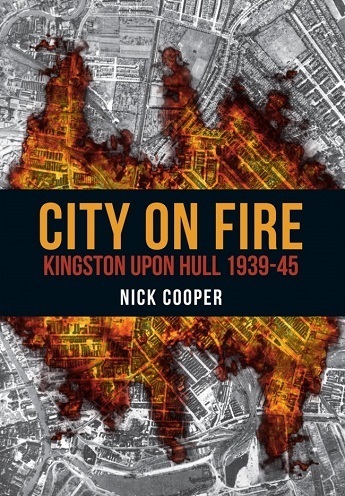 City on Fire examines the air raids on Hull, the industries and infrastructure the raids targeted, how effective they were, the effects on the civilian population, the stories of some of the Civil Defence and rescue workers, how the raids were censored in the media at the time and the use of deception measures to try and protect the city. The book will also look at the aftermath of the war and the reconstruction of Hull.